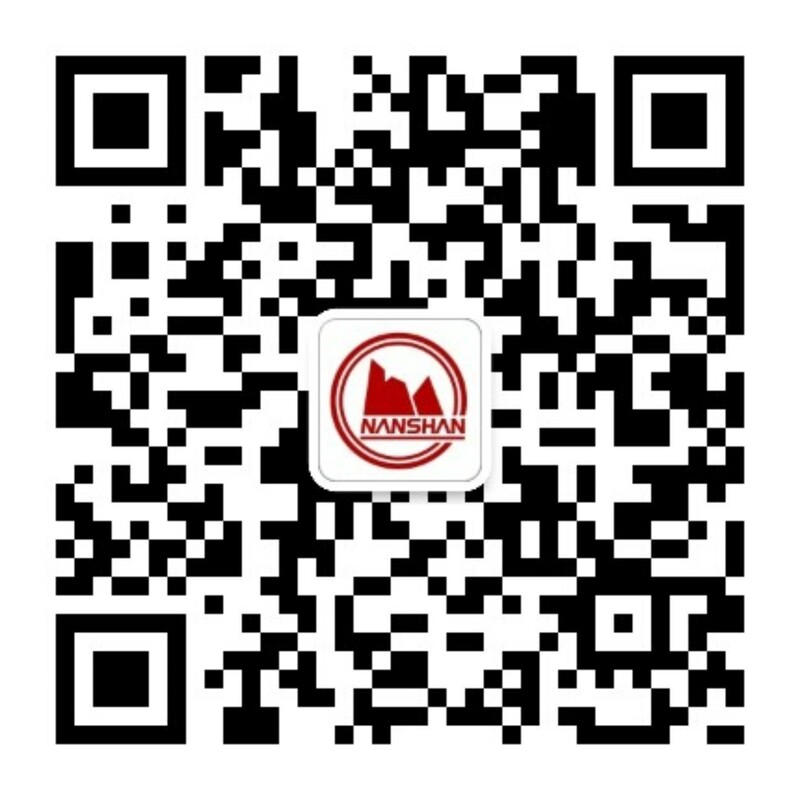 Founded in 1988, Longkou Nanshan Bilingual School is a nine-year system boarding school built by Nanshan Group, a national large-scale enterprise group and China Top 500 Enterprises. The school covers an area of 104,702 ㎡, and the building area of the school premises is 43,858 ㎡. At present, the primary school and middle school have 107 teaching classes and 5,336 school students. The school has excellent education and teaching conditions as well as complete and advanced supporting teaching facilities, where various high-standard labs and classrooms are built and reach the provincial standard. The sports facilities such as 400-meter plastic playground, basketball court and volleyball court reach the provincial first-class level. All the classrooms are equipped with “Class Access to ICTs” media equipment, each full-time teacher of primary and middle schools is provided with one cellphone, and tablet learning machine is utilized to assist the learning of the students of the fifth grade of the primary school and various grades of junior high school. The school has five computer network classrooms, three multi-media classrooms, one recording and broadcasting classroom and four maker classrooms, and the network realizes gigabit connection. The school firmly establishes the education concept of “laying a foundation for happy life of each child”, takes building ideal school and high-quality school as the development direction and insists on taking the path of “developing the country through scientific research, building the school with quality and strengthening the school with features”. It overally implements quality education, implements delicacy management and is the first batch of “demonstration schools of delicacy management” in Yantai City. 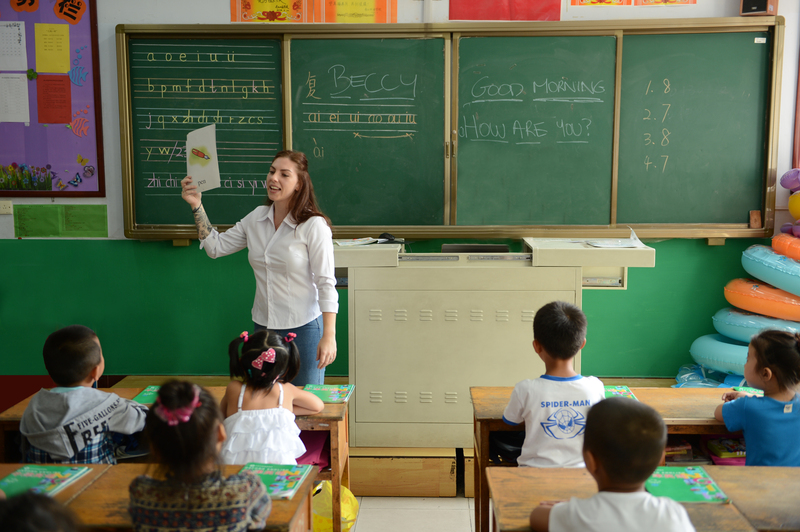 Led by education and research development, the school promotes reform of classroom teaching and establishes the “four links and four questions” improving the learning ability of the students with thought development as the core to become a demonstration school in reform of classroom teaching in Yantai City. The school actively promotes curriculum innovation, sets up four categories of “four wisdom” school-based curriculum such as classic reading and investigative study and strives to cultivate the socialism builders and successors with all-around development of moral, intellectual, physical, aesthetic and labor education who “can take responsibility, are good at study, have skills and know health”. The school gives play to its school-running advantages of nine-year system, strengthens research on link teaching of English of primary and middle schools and employs foreign teachers to give the oral class all the year round, and most of the students can exchange with the foreign teachers. The school insists on grasping construction of teaching staff, and improves the ethic level of the teachers and promotes the professional development of the teachers by multiple approaches such as topic leading, “coming in and going out” and selection of “Top 10 Teachers of the Year”. At present, the education background standard-reaching rate of the teachers is 100%, and the teachers with the intermediate title and above account for 56%, and there are five provincial teaching masters and high-quality class teachers as well as 54 Yantai teaching masters and high-quality class teachers. Research on classroom teaching and professional development of the teachers promote effective improvement of the teaching quality. In discipline quality inspection of the whole city, the total results of both primary and middle schools of this school come out top in the whole city, and the results of multiple disciplines rank the first in the whole city. It set a new record again in the senior high school entrance examination of 2018: 348 students participated in the examination, with 304 enrolled and the acceptance rate, comprehensive graduation rate and top 1000 enrollment number ranking the highest in the city. Five students entered top 38 in the whole city and 164 students entered top 1000 in the whole city, and one student was admitted to Shandong Province Aviation Experiment Class, thus realizing double harvest in cultivation of excellent students and large-area enrolment. The honorary titles successively won by Nanshan Bilingual School include: “Shandong Province Standardized School”, “Shandong Province Teaching Model School”, “Shandong Province Advanced Unit in School-based Teaching Research”, “Shandong Province Traditional Sports Events School (Basketball)”, “Yantai Civilized Unit”, “Yantai Advanced Unit in Imparting Knowledge and Educating People”, “Yantai Advanced Unit in Education and Research Development”, “Yantai Digital Campus Demonstration School”, “Longkou Civilized Unit” and “Longkou Quality-oriented Education Demonstration School”. Along with vigorous development of the cause of education of Nanshan Bilingual School, the “high-quality, featured and modern” school-running style becomes increasingly distinctive, and the influence of the school is increasingly improved. The Ministry of Education as well as the provincial, local and municipal education departments have held the on-the-spot meeting on quality-oriented education and discipline teaching for over 20 times successively. All teachers and students of Nanshan Bilingual School are forging ahead and advancing with the times with high spirits to strive for building an ideal and high-quality school.